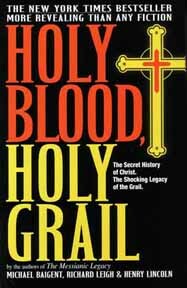 HOLY BLOOD, HOLY GRAIL: The Secret History of Christ. The Shocking Legacy of the Grail By Michael Baigent, Richard Leigh & Henry Lincoln 505 pages. 6x9 Hardback. Illustrated. References. Index.